⬅ Are You Dead Yet? Last post, we discussed how we can only produce lasting fruit in this life if we choose to die. But, just what does that look like in my life, and in my relationships? The Bible is replete with verses that tells us to : put on, put off, flee, walk, run, lay aside, take up, stand, and many more. These are action verbs. They are exhortations, and commands to “do” something. Make decisions. Make choices. Not one-time choices, but continual, daily decisions that will have a profound impact on your own life, and the lives of the people around you. The charge, repeated over and over again in scripture, is to die. To lay aside your own agenda, your own expectations, goals and rights – and embrace His life and plan for you. For most of us, this is truly a death. We have our own goals and dreams, and God should surely be okay with them. Truth is, He may – but are they His will for your life, or your own. 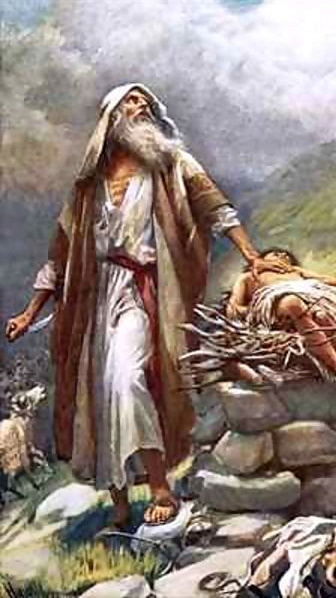 Have you submitted them to Him (like Abraham submitted His lifelong dream , Isaac, to God? Abraham was willing to give up what he desired most, if that was what God required. God knew Abraham’s heart, and honored His obedience and humility. Truth is – many of us a just plain fearful that God will require something dreadful of us, or will ask us to do things that will ruin our plan for our life (in our opinion). The other truth is – unless we get to the point where we are willing to submit our life completely to our loving, extravagant Father – we have not decided to die. If we don’t ever die – we can’t expect to see much fruit in our life. The same is also very true for our marriage. If we refuse to die to our selfish expectations and “I deserve-its” in our marriage, we will see little fulfillment and abundance. We are to love our wives “as Christ loved the church” which requires that we “give ourselves up for her”, aka – “die”. Jesus explained it very well when asked what it took to be His disciple. Luke 9:23 – And He was saying to them all, “ If anyone wishes to come after Me, he must deny himself, and take up his cross daily and follow Me. “Denying yourself”, “taking up your cross” and “following” all require making choices. This verse also says that those choices should be made “daily”. It seems so simple doesn’t it? But, we all know it isn’t. My good friend Robbie often says, “The hardest thing about being a Christ-follower, is following Christ”. So true. So, what will it be? Will we keep demanding our own way, or decide to die? No one can make that decision for us. Like you, I will need to make that decision tomorrow, and the next day, and the next. Seems funny to pray that we will all die…. great word…this helped me tonight.